A new initiative, which goes into effect this month, will make illegally possessing a firearm as a felon a federal crime. Previously, most cases were charged under local "felon-in-possession" laws. WASHINGTON — D.C. and federal authorities are cracking down on armed felons in an attempt to bring down the District’s rising homicide rate. 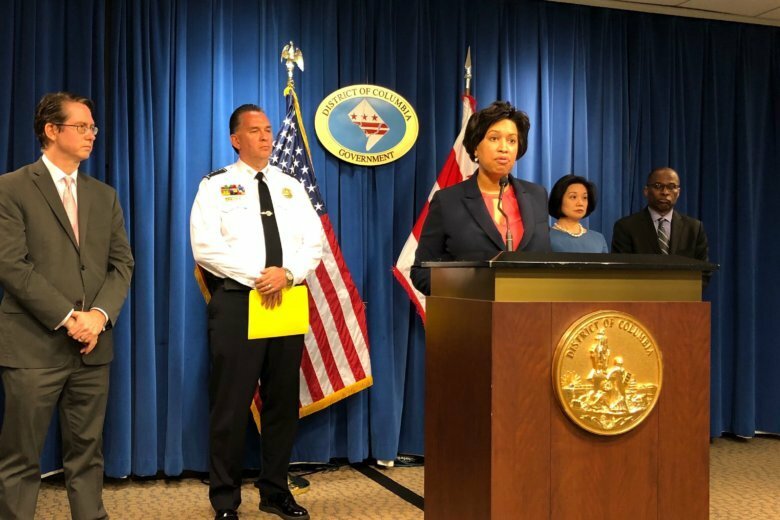 Mayor Muriel Bowser announced the Felon in Possession initiative at a news conference Wednesday. The initiative, which goes into effect this month, will make illegally possessing a firearm as a felon a federal crime. Previously, most cases were charged under local “felon-in-possession” laws. The Felon in Possession initiative will involve support from federal agencies, including the FBI, Drug Enforcement Agency, U.S. Marshals and Bureau of Alcohol, Tobacco, Firearms and Explosives. Cases would be prosecuted in U.S. District Court. “To have all of the federal resources, I can’t thank the U.S. attorney and our federal partners enough,” said D.C. police Chief Peter Newsham. There were 160 homicides in the District in 2018, up from 116 in 2017.